Want an extension of food overload after the Christmas and New Year celebrations? Byahilo is holding a contest until December 24, 2010! 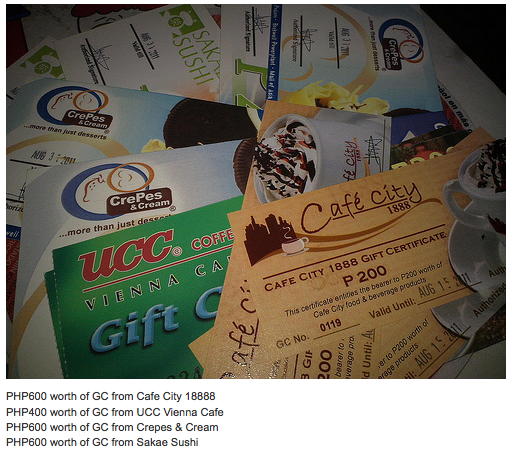 So many food GCs up for grabs for ONE WINNER!!! Aside from the Hamon and the Quezo de Bola, what's your favorite Christmas food to share during the holidays? I'm curious about your answer. Leave me a message! Happy Holidays! puto bumbong ang pag-spell ko haha.join ka sa site nya!may time pa!